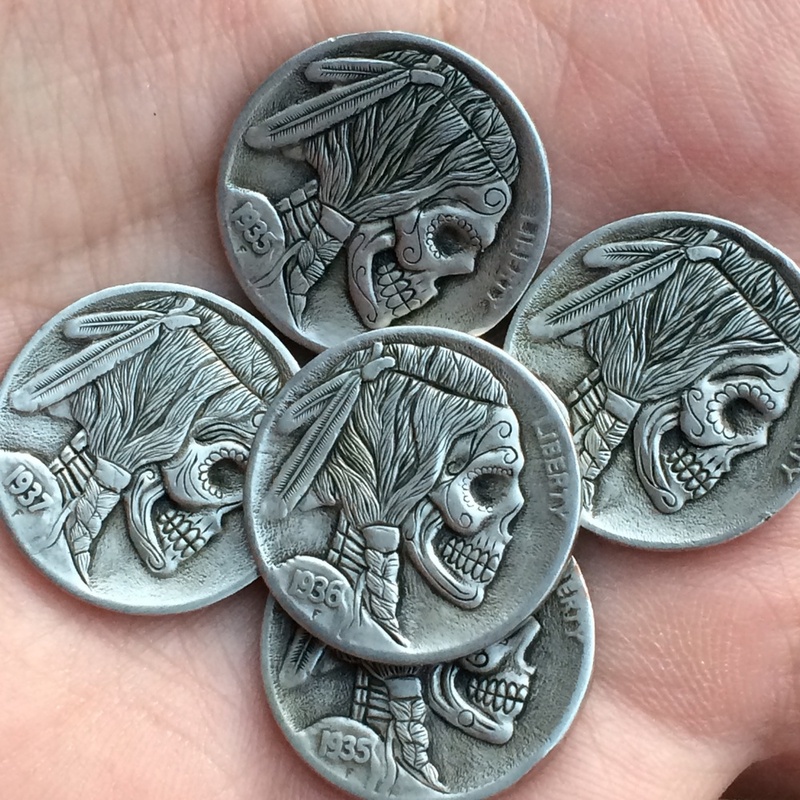 So I found a guy in Ohio that engraves coins into awesome little works of art. Hobo nickels are a traditional art form that started in the early 1900s when people would engrave nickels with nails, gravers or whatever they had to work with. They would then use these little works of art to trade for goods and services making them more valuable than a plain ole nickel. As I was looking to find some nickels to use on my rings I came across Shane Hunter's nickels on eBay. After a few emails back and forth, a theme was agreed upon and I just turned it over to Shane to interpret. I'm really happy with what he did and we've made an arrangement for me to continue getting these exclusively. Hope y'all dig them as much as I do.